This half-day program was developed to offer general knowledge in the use, care and maintenance of a 30 lb. fire extinguisher. The program includes classroom theory as well as practical training on Global's Fire Field. The course’s theoretic and practical content can be increased at any time to meet corporate specifics. Course costs naturally reflect increases. Successfully extinguish four fires individually using a 30 lb. dry chemical extinguisher. Successfully extinguish two fires as a team member using 30 lb. fire extinguishers. 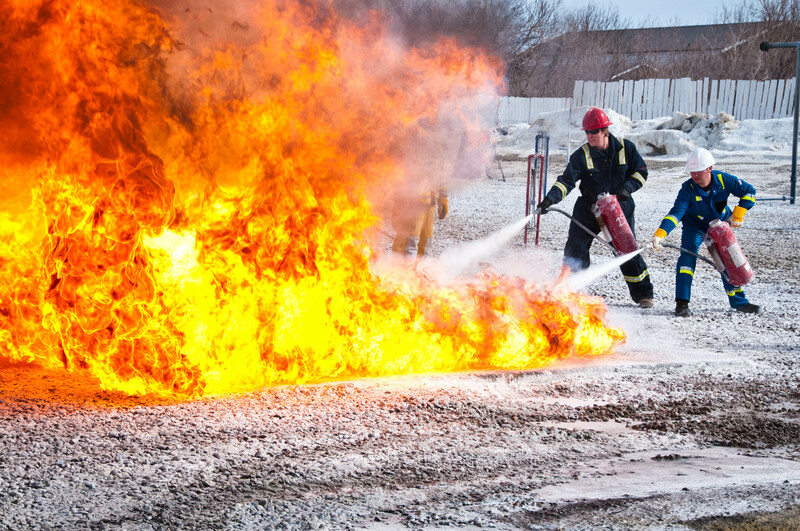 This course has minimum standards that must be conformed to a written competency exam mark of no less than 70% and successfully extinguish the required fires.